Although the heat pump microwave combined drying technology has a good effect on the drying of Chinese medicinal materials, the quality is also guaranteed, but because of the variety of Chinese medicinal materials, the composition of the materials is different, which means that during the drying process. Uncertain influence factors still exist. First, it is impossible to determine the optimal transition point from heat pump to microwave drying. Secondly, there is still a certain gap between the actual drying process and the theoretical drying simulation. This requires a large number of experiments to verify the best. condition. 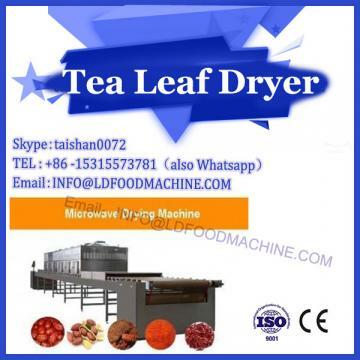 In the drying application of Chinese herbal medicine dryers, heat pump microwave combined drying technology has a very wide application prospect, but it still needs a lot of time and experiment to verify the best drying conditions, perfect the theoretical basis, and also need to continuously heat pump drying system. Improve and optimize. At present, the working modes of the heat pump drying system are open type, semi-open type, closed circuit type and the like. Heat pump drying is the first stage of joint drying. The completion of the whole heat pump system will have a great impact on the drying of Chinese herbal medicines. It is necessary to improve the heat pump drying system. At home and abroad, a variety of improvement schemes have been proposed for this situation. Li Danxia et al. proposed using a two-stage interception evaporative compression heat pump drying device, but in the case of specific experiments, large heat loss will occur at each pipeline. There is a certain deviation between the data and the actual verification, but from the results, the energy consumption is still significantly reduced. The main problem to be solved in the Weibo drying system is how to control the temperature and how to ensure the uniformity of the microwave when the material is absorbed. This is the key point of research. On the premise of ensuring the best process conditions, a continuous microwave drying model was established. The research shows that this microwave drying scheme can effectively ensure the uniform heating of the Chinese herbal medicine during the drying process, and also improve the service life of the wave source. A similar study has been carried out abroad. Using infrared imaging to assist microwave drying, it can be seen that the drying time is significantly shortened, but it may affect the appearance of Chinese herbal medicine. To prevent this from happening, add agitating waves. The device can greatly reduce the fluctuation of the microwave to achieve more uniform heating. When the traditional drying method is used to dry the Chinese herbal medicine, the disadvantages are very obvious, the efficiency is low, the time is long, the energy consumption is high, and the hygienic conditions and the quality of the Chinese herbal medicine cannot be guaranteed. However, these shortcomings can be avoided by a combination of different methods of drying. Therefore, improving the quality of products based on reducing the cost of drying is still the focus of research. The heat pump microwave combined drying technology has outstanding advantages, although there are still some defects, but after continuous improvement and optimization, its application prospects will become more and more extensive.